Kethley Physical Therapy is a locally owned outpatient clinic that is owned and operated by physical therapists. With over 19 years in practice, we provide the highest quality of physical therapy services to the Dripping Springs residents. 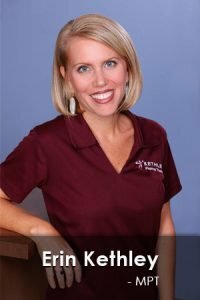 Kethley Physical Therapy has two locations to better serve the Dripping Springs and Southwest Austin areas. The Arbor Center is a 3,500 square foot state of the art facility just west of downtown Dripping Springs. Our second location is located in the Medical Towers at Sawyer Ranch near the intersection of Sawyer Ranch and Highway 290 West. Our staff takes great pride in providing the highest quality outpatient physical therapy services to the Dripping Springs community through clinical expertise, honesty, integrity, and Christian morality. Dr. Jeremy Kethley, PT, DPT is owner and director of Kethley Physical Therapy. He received a Bachelor of Science in Psychology from Lamar University, a Bachelor of Science in Health Care Science and a Master’s in Physical Therapy from the University of Texas Health Science Center in San Antonio, and a Doctorate in Physical Therapy from EIM Institute of Health Professions. 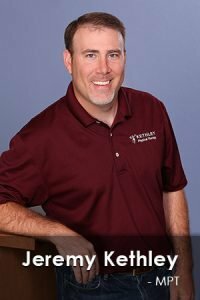 Jeremy has been practicing outpatient physical therapy in Dripping Springs for over 19 years in practice. Jeremy has been trained by the Spinal Manipulation Institute, in the Mulligan Concept, the McKenzie Method and the Evidence in Motion Institute of Health Professions. Erin Kethley, PT is co-owner and director of business operations of Kethley Physical Therapy. She received a Bachelor of Science in Biomedical Science from Texas A&M University, a Bachelor of Science in Health Care Science and a Master’s in Physical Therapy from the University of Texas Health Science Center in San Antonio. She has been a licensed P.T. for over 19 years in practice. Erin has recently completed Parts A & B of the McKenzie Institute program for Mechanical Diagnosis and Therapy. Michelle Olson, PT is a licensed physical therapist and works full-time at Kethley Physical Therapy. She received her Bachelor of Science in Physical Therapy from Northeastern University in Boston, MA. Michelle and her family have lived in Dripping Springs for 8 years. She has been a practicing therapist for over 18 years and brings experience from many different areas, including acute care, cardiac rehabilitation, home health care, rehab and out-patient settings. She recently has completed continuing education courses in vestibular rehabilitation and balance training. 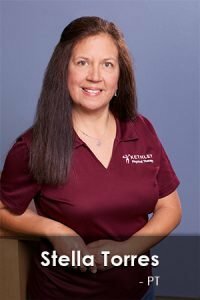 Stella Torres, PT, DPT, CHT, graduated from the University of Texas Health Science Center in San Antonio with a Bachelor of Science degree in physical therapy and has been a distinguished clinician in Central Texas for more than 25 years. She earned her hand certification in 1993 and her doctorate in physical therapy in 2012. Stella is an active member of the Central Texas Hand Society, an organization comprised of hand surgeons and hand therapists committed to advancing the practice of hand-related medical intervention and rehabilitation. Joey Przybyla, PT, DPT is a licensed physical therapist and works full-time at Kethley Physical Therapy. He received his Bachelor of Science in Exercise Science at Western Michigan University and earned his Doctorate of Physical therapy at Texas State University in May 2015. Joey has years of experience in orthopedics working with geriatrics, post surgical and various patient presentations prior to obtaining his Doctoral degree. He has additional experience as a competitive local-elite endurance runner and has worked with many athletes to return to play over his last five years residing in Texas. Colleen Ward, PT, DPT is a licensed physical therapist and works full-time at Kethley Physical Therapy. She received a Bachelor of Arts in Biology from Franklin Pierce University in Rindge, NH before pursuing higher education. Originally from Lexington, MA, Colleen moved to Austin to complete her Doctorate of Physical Therapy at the University of St. Augustine for Health Sciences in August of 2017. 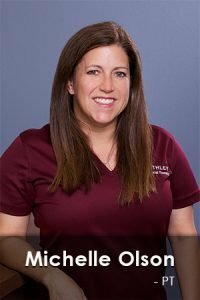 She has always had an interest in enhancing human movement as she has years of experience working with kids of all ages coaching recreational gymnastics and tumbling classes. David Strong, PT, DPT is a licensed physical therapist that works full-time at Kethley Physical Therapy. He received a Bachelor of Science in University Studies with a focus on Health Sciences from the University of Texas a Arlington in 2013. Originally from Lubbock, Texas, David moved to Austin to complete his Doctorate of Physical Therapy at the University of St. Augustine for Health Sciences in 2014. David is skilled in manual therapy techniques that reduce pain/inflammation and improve range of motion. He is experienced in the treatment of neurological conditions, geriatrics, and cardiopulmonary disorders. David is an avid tennis player and enjoys returning overhead athletes to full participation in sports. His focus as a physical therapist is improving the human condition so that everyone can enjoy life without pain or dysfunction. Wes Powers, PT, DPT is a full-time licensed physical therapist at Kethley Physical Therapy. He received his Bachelor of Science degree from the University of Wisconsin-OshKosh, and his Doctor of Physical Therapy degree from the University of St. Augustine in August 2018. As a former collegiate soccer player, Wes is passionate about returning his athletes to sports as well as injury prevention. He is passionate about patient education and integrating a variety of orthopedic and evidence-based techniques into treatments to create an individualized approach to physical therapy. Valerie DeHulsters, PT, is a licensed physical therapist and Stott Pilates certified instructor. She graduated from Texas Women’s University with her master of Science Degree in Physical Therapy and has been practicing for over 16 years. Valerie has also completed training through the Herman and Wallace Pelvic Rehabilitation Institute and enjoys helping women overcome pelvic health issues including pelvic floor weakness, incontinence, pelvic pain, as well as pregnancy and postpartum related issues. She is a Texas Hill Country native and now resides in Austin with her husband and two girls.